We are sad to report that our friend Curtis Pitts passed away early on the afternoon of Friday, June 10, 2005 in Miami from complications of recent heart surgery. He was 89 years old. Curtis is an aviation legend in the truest sense of the word. The diminutive little biplane he built in 1944 and called "The Special" wasn't intended for production, but it was so exciting that it was inevitable that others would take great interest in it. Right up until his death, he was actively designing aircraft. 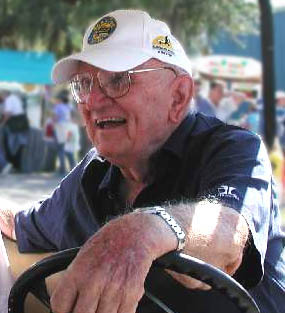 His prolific legacy includes well over a dozen original aircraft designs, including some relatively unknown one-off aircraft and a myriad of versions based upon his original designs. The story of the Pitts Special and his other designs has been told in detail many times over, but suffice to say that the little airplane and its descendants completely revolutionized aerobatic flying in both competition and exhibition. To this day, Curtis Pitts' aircraft designs still greatly influence the world of aerobatics, and they will continue to do so for many years. That in itself is a true testament to the genius of Curtis Pitts. Curtis' life story is one of great accomplishment and serves as a true example of a man who put his passion, talents, and dedication to work. His homebuilt designs out-flew the Soviet state-sponsored and funded designs created by teams of some of the world's best aircraft designers. But even more important than the aircraft is the man himself. For all the genius that his designs exhibit, the fact is that Curtis is one of the most beloved figures that aviation has ever known. 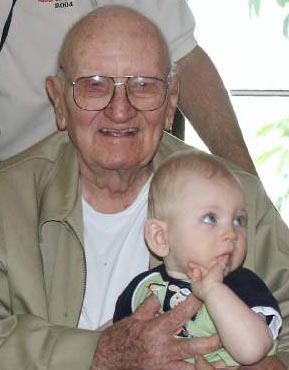 He was a genuinely nice guy with a good sense of humor and who was always willing to share, to teach, and to encourage. 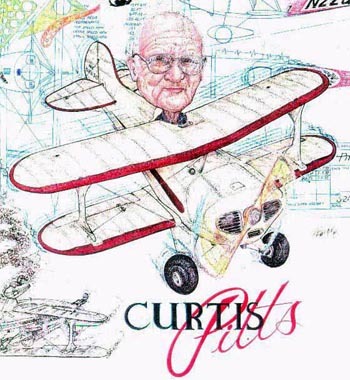 Virtually everyone who ever met Curtis considered him a friend... there's a good reason that so many Pitts owners have painted "Thanks Curtis!" on the tails of their airplanes. While he certainly had preferences for the kinds of flying he liked... he definitely leaned towards classic "old-school" aerobatics over today's "extreme" styles... he never let anything get in the way of his friendship with those who fly acro of any description. The special fellowship between aviators was probably never closer than that between Curtis and the rest of the aviation world. Many loved his airplanes, then grew to love the man. Whenever I think about about Curtis, a particular incident often comes to mind. Not long after I first met him while he was visiting Steen's shop to oversee work on the Model 14, I approached him, slightly hesitantly, Model 14 poster in hand. "Curtis," I said, "I have to ask you something." "Well... if you wouldn't mind... my wife loves the Model 14, in fact it's her new favorite airplane. And she said that if I didn't get you to autograph a Model 14 poster for her, she just might leave me!" Curtis smiled. "Well Mike, you know... I've been told that building my planes have caused a few divorces over the years. So I guess it's only fair that I help to save a marriage for a change!" Curtis broke out into a hearty laugh, something he did a lot of. He never took himself too seriously, and he understood that aviation was supposed to be fun, after all. Kristin and I now count that poster as a treasured memento from one of the neatest guys we've ever met. The entire aviation community is sad that Curtis is no longer with us in this life... however, every one of Curtis' many friends will agree that we are all extremely blessed to have known him. The sadness we feel at his passing pales in comparison to the joy we feel at his life. In various ways, everyone in aviation is richer for the time we've enjoyed Curtis' company and thoughts. As Curtis repeatedly told interviewers, he didn't go to airplane events for the airplanes anymore, but for the people. He loved the aviation community, and they loved him back. The many folks who expected the legendary Mr. Pitts to be a larger-than-life celebrity found instead a down-to-earth, modest, and humble guy. Let's all raise a toast to Curtis. Fair winds, friend, and thank you.